New traffic controls are being introduced in Southwater because of ‘unprecedented’ numbers of families visiting Southwater Country Park. Horsham District Council says it is liaising with Sussex Police and that action will be taken against any drivers causing an obstruction in the area. The move follows a backlash from angry Southwater residents after visitors to the country park left their cars blocking local roads. In a statement today, a council spokesman said: “As a result of the school holidays and the extensive spells of hot weather, unprecedented numbers of families have visited Southwater Country Park in recent weeks. “In order to help alleviate problems with park users parking irresponsibly, the council is liaising with Sussex Police regarding parking on adjacent roads and has introduced additional signage and traffic controls. “Visitors are asked to ensure that they do not park in any locations which may cause an obstruction to buses, emergency services etc. Action may be taken against drivers who are causing an obstruction. 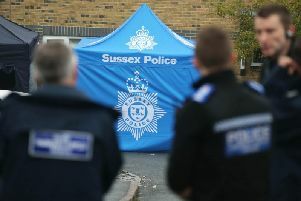 “The council has also asked Sussex Police to pay extra attention to the site and has arranged for its civil enforcement officers to patrol any potential problem areas.